RAM Viesez olive 2015 Komplett LongboardRandal Kingpin 2,76"
Designed and built with strength and reliability in mind. High stability geometry with 100% neutral caster. 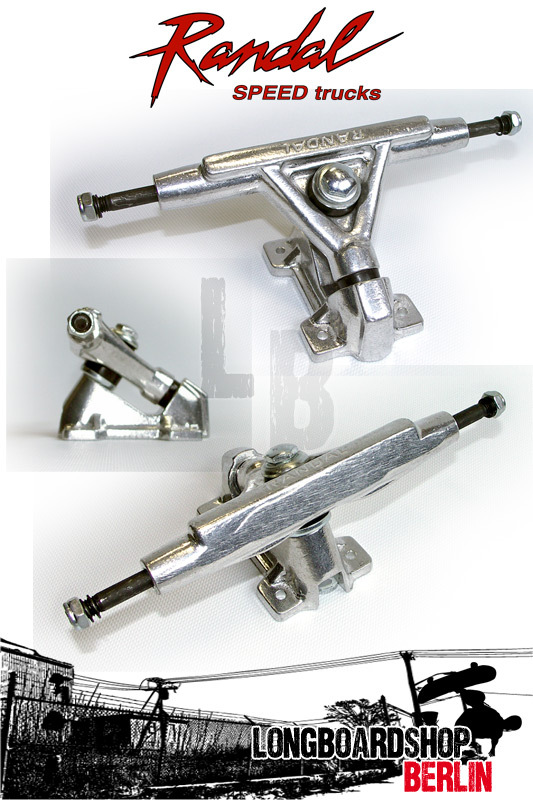 Base plates available in 35º (standard) , 50º, and 60º. Barrel bushing bottom, conical bushing top.